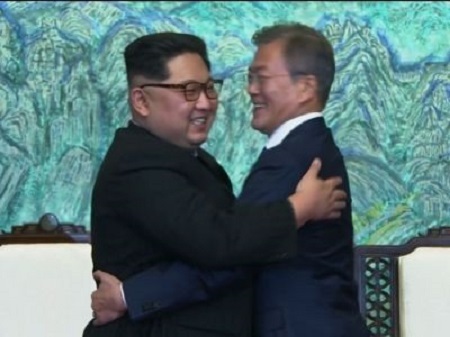 North Korean leader Kim Jong Un and South Korean President Moon Jae-in embraced after pledging on Friday to work for the “complete denuclearisation of the Korean peninsula,” punctuating a day of smiles and handshakes at the first inter-Korean summit in more than a decade. 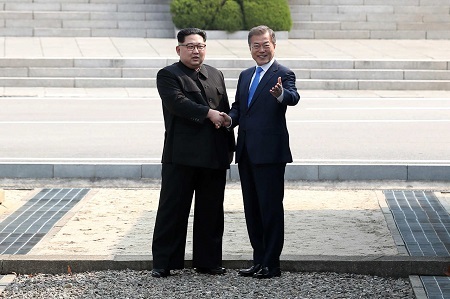 Earlier, Kim became the first North Korean leader since the 1950-53 Korean War to set foot in South Korea after shaking hands with his counterpart over a concrete curb marking the border in the heavily fortified demilitarised zone between the countries. It’s not the first time leaders of North and South Korea have declared their hope for peace, and two earlier summits, in Pyongyang in 2000 and 2007, failed to halt the North’s weapons programmes or improve relations in a lasting way.